‘Cold Start’ has long deeply spooked Pakistan. 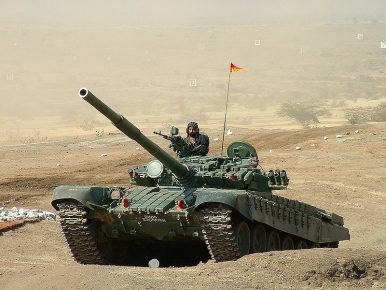 Developed in the mid-2000s by India to address slow mobilization times during various border crises with Pakistan in the early-2000s, shortly after the Kargil War in the late-1990s, the doctrine, in short, focuses on a rapid-mobilization limited war under the nuclear threshold with Pakistan. The doctrine never acquired formal sanction from India’s civilian leaders over wartime control concerns — until now, apparently. ‘Cold Start’, even without formal political sanction or mention, caused a bit of a stir in Pakistan, understandably. In the mid-2000s, the doctrine was appealing to Indian military planners precisely because it would allow Delhi a sub-nuclear limited war opportunity; Pakistani nuclear delivery capabilities remained strictly in the strategic realm at the time. Islamabad’s concern over ‘Cold Start’ is what led to Pakistan’s pursuit of low-yield battlefield nuclear weapons (also known as “tactical” nuclear weapons). Pakistan has been growing less shy in discussing its tactical nuclear weapon use plans over time. As I’d discussed back in October 2015, Pakistani Foreign Secretary Aizaz Chaudhary articulated the conditions under which Pakistan would use its tactical nuclear weapons for the first time — specifically mentioning its plans in the context of Cold Start. So, in the end, there is a bit of new and a bit of old here. Pakistan hasn’t made any important doctrinal changes regarding its plans for nuclear warfare against India and has clarified that Indian mobilization into Pakistani territory under “Cold Start” would be a sufficient trigger for nuclear first use before.